These are restorations that are created for patients who do not have any teeth of their own left. They are usually made of high impact medical grade acrylics and multilayered composite teeth. These replacement teeth are made to look like the patient’s natural ones and are actually very aesthetically pleasing too. These are different from other types of complete dentures simply because they cannot be inserted until after all the remaining natural teeth are removed and the gums have completely healed, too. That would often take about four weeks. They are custom made for each patient’s mouth. The process of waiting out the complete healing of the bone and gums when teeth are extracted take weeks. That means for that long, patients would go without teeth. To avoid this inconvenience, immediate dentures are provided. Impressions of the patient’s mouth would be taken while teeth are still present. When the teeth are extracted, the immediate dentures will be ready to be inserted. The main goal is for the patient to never have to go for days without teeth. 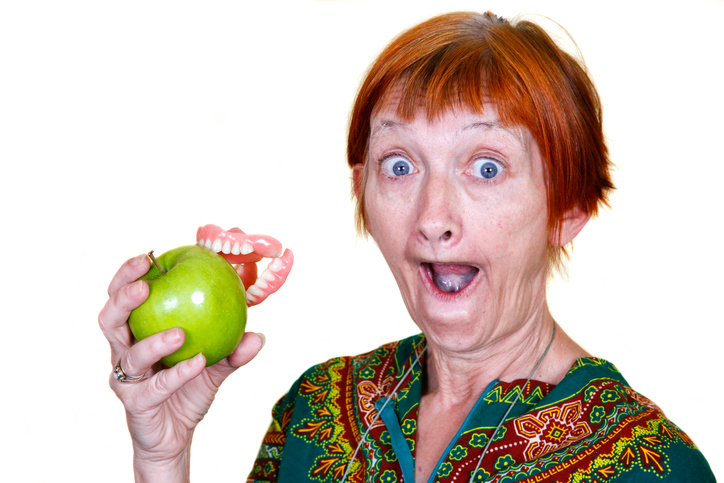 Partial dentures are the right choice for those who are in need of replacement for one or more missing teeth. 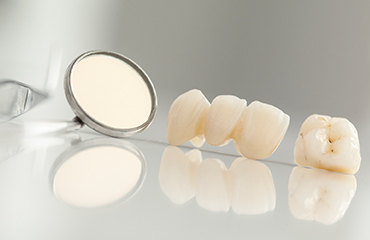 Among the most common types of removable partial dentures are metal-acrylic and all acrylic. All acrylic partials are the kind of denture that are considered interim or temporary partial dentures. These are commonly used to replace missing teeth while waiting out the healing period for the gums when teeth are lost. To hold them in place, wires are embedded in the acrylic “gum”. This is to clasp the teeth for retention in the patient’s mouth. Cast-metal partials have underlying metal framework for the major connector, substructure, and tooth clasps that are custom fabricated. Denture teeth and high impact acrylic that are gum coloured are added to the framework to complete the denture. These dentures have a framework or metal base plate that is placed on and about the patient’s natural teeth, onto which denture teeth are then attached by acrylic. Both stability and retention come from their metal framework. They can also be supported just by the natural teeth or by both natural teeth and mucosa. These dentures have a framework that is made of titanium which is known by many to be a superior building material for denture frames. They are lighter than chrome metals and offer equal or even better strength. They also allow for a more natural feeling and without the metallic taste in the mouth. Because they are thin they are also less conspicuous. These are a type of temporary denture that often replaces one or only a few teeth. Flipper dentures are usually used until a permanent one is ready to be inserted. The ball attachment is resilient stud attachment that is also a simple yet effective system to use if you want to retain both partials and over-dentures. The ball attachment makes way for an easy path of insertion, removal, and hygienic maintenance. They are removable polyvinyl or rubber shields that are worn over teeth (usually the upper teeth) to help protect the wearer’s jaw and teeth from any traumatic injury that is quite common during some sporting activities. These are designed from the tooth impressions of the patient to minimize the very abrasive action of the surfaces of one’s teeth when sleeping. They should be worn for a long time to prevent tooth damage, as well as damage to the temporomandibular joint. These are relatively new in the industry. It basically combines two layers with a soft interior and hard acrylic exterior. They can handle heavy teeth grinding and jaw clenching. The soft material inside is comfortable against the patient’s teeth while the hard outside protects them. This thermo-heat, mouldable mouth guard is made of EVA that is adapted over the model using a vacuum machine. It is then trimmed, as well as polished to give way for proper gum and tooth adaptation. These are very durable as they are made from hard acrylic material, and are a perfect choice for someone with extreme clenching. 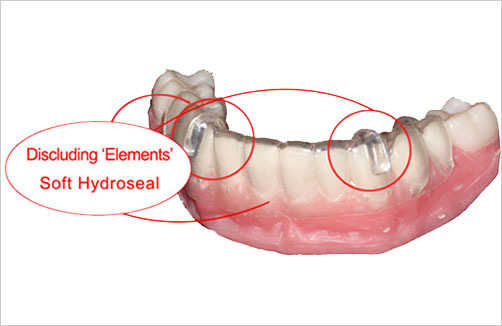 They are often called Essix retainers or invisible retainers because they are made of clear high grade material. They are also sometimes called overlay retainers. They guide the patient’s teeth into a position so that both the upper and lower sets are quite even and aligned with each other. These are custom made to fit your implant plan as well as the patient’s mouth anatomy. Our surgical guides come with tooth, bone, or mucosa support. They can help improve not only your accuracy but also save both your and your patient’s chair time. Now that tooth whitening is getting more popular by the minute, you’d see take home bleaching trays everywhere. It is a recommended technique and it achieves good results, too. 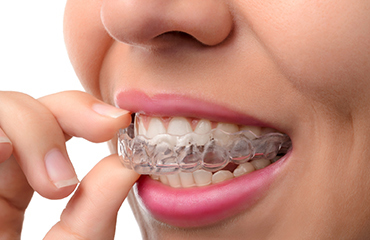 The treatment involves the patient wearing mouth guards that are custom-fitted for a certain period of time. However over the counter bleaching splints are often inferior and are not recommended. It is always best to be advised by your dentist for this kind of treatment. Our Featured Products offer a 100% success rate! Dental implants are a great solution for people who have missing teeth or chronic dental issues.